Learn the Thoracic Outlet decompression/ supraclavicular first rib resection surgical technique with step by step instructions on OrthOracle. 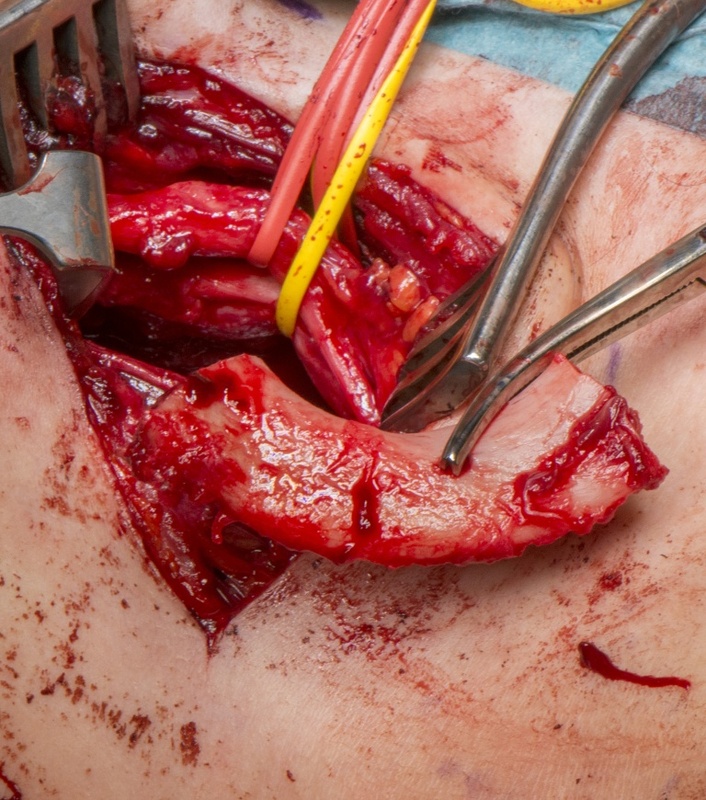 Our e-learning platform contains high resolution images and a certified CME of the Thoracic Outlet decompression/ supraclavicular first rib resection surgical procedure. The thoracic outlet lies at the apex of the thorax and is traversed by the subclavian vessels and brachial plexus as they enter the upper extremity. It can be divided, conceptually, into three spaces from proximal to distal: the scalene triangle, costo-clavicular space and sub-pectoral space (lying under pectoralis minor). Thoracic outlet syndrome (TOS) is the result of compression of one or more of the neuromuscular structures at this site and is classified according to the structure being compressed as: neurogenic, arterial and venous. Neurogenic TOS remains by far the most common of these. Clear consensus on diagnosis and treatment is still lacking. It is generally agreed that for most individuals with a diagnosis of neurogenic TOS the emphasis is on physiotherapy. Surgery is reserved for individuals who fail to respond to conservative measures. With careful patient selection surgery can be effective. Institution: The Queen Elisabeth Hospital, Birmingham ,UK.